S3E3: Stanford Energy Week – Live from White Plaza! GGR Producers Adam Pearson, Erik Olesund and guests Debra Dunn, Sarah Triolo (photograph by Diane Wu). As Earth Day approaches on the Stanford campus, Green Grid Radio and other environmentally-minded affiliates on campus are reaching out to the broader Stanford community for engagement. Wednesday in White Plaza featured Green Grid Radio broadcasting live during the Stanford Energy Club’s Energy Showcase event. 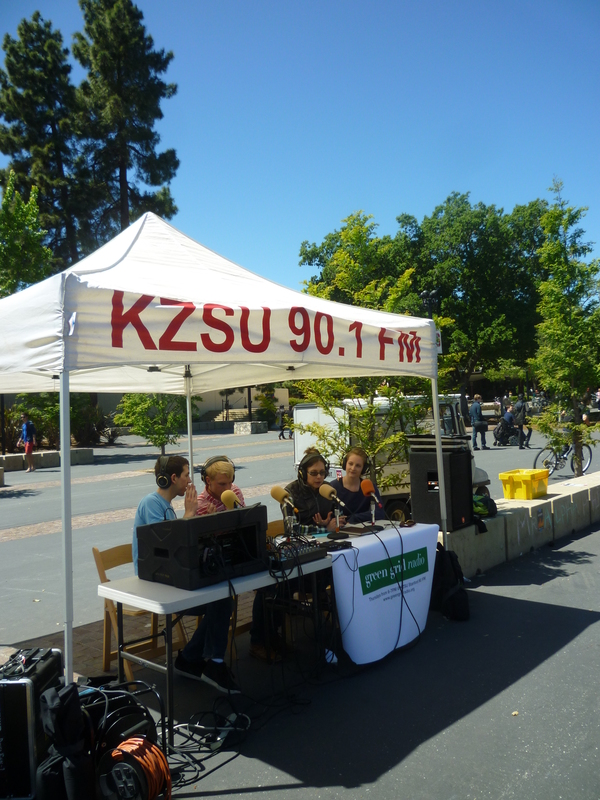 With technical assistance from producer Diane Wu and KZSU engineer Mark Lawrence, Green Grid Radio brought a solar-powered (literally– see our photo below!) episode with an appropriate lunch-time focus on food systems. Solar-powered radio (photograph by Diane Wu). We had a great, lengthy discussion with our guests this week, Ms. Debra Dunn and Sarah Triolo. Sarah recommended this supplemental reading from the New York Times on some of the “nasty things happening in our food system” today. Thanks to all the audience input and for the support out in White Plaza. Take a listen below, and see you next week! Categories: Podcasts | Tags: agriculture, big ag, energy systems, fertilizer, food, food production, food systems, food waste, meat, methane, vegetarianism | Permalink. Coming up in S3E3: Stanford Energy Week – Live from White Plaza! This week we’ll have a very special broadcast of Green Grid Radio on Wednesday, April 17th from 12-1pm. 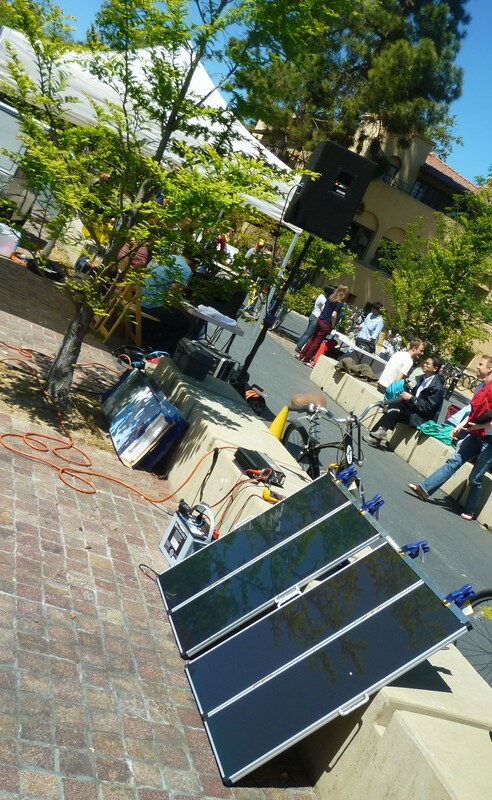 Green Grid Radio will be broadcasting live from the Energy Showcase, which is the Stanford Energy Week kick-off event in White Plaza on the Stanford campus. Attributed to Stanford Energy Club (2013). Not only will we broadcast live, but our booth will be solar powered. We are utterly thrilled to bring our show to the middle of the action, and to demonstrate our environmental commitment at the same time. Our guest this week is Ms. Debra Dunn of the Stanford d.school. We’ll be talking about sustainability, food, and energy broadly in our discussion. Student Sarah Triolo will also join us for the panel conversation. Green Grid Radio will air an encore edition of this special episode during the regular Thursday, April 18th from 6-7pm PST timeslot on KZSU. This past Thursday, the Green Grid Radio team spoke with Dr. Jeff Mirocha, a scientist at the Lawrence Livermore National Laboratory. We were also joined by guest panelist Aaron Burdick, a graduate student in Stanford’s Civil and Environmental Engineering Department. We’ve explored a lot of issues related to wind energy technology on the show in previous episodes, but this time we went back to the basics to gain an understanding of some oft overlooked fundamentals. What are the mechanics of making electricity from wind? How efficient is wind energy? 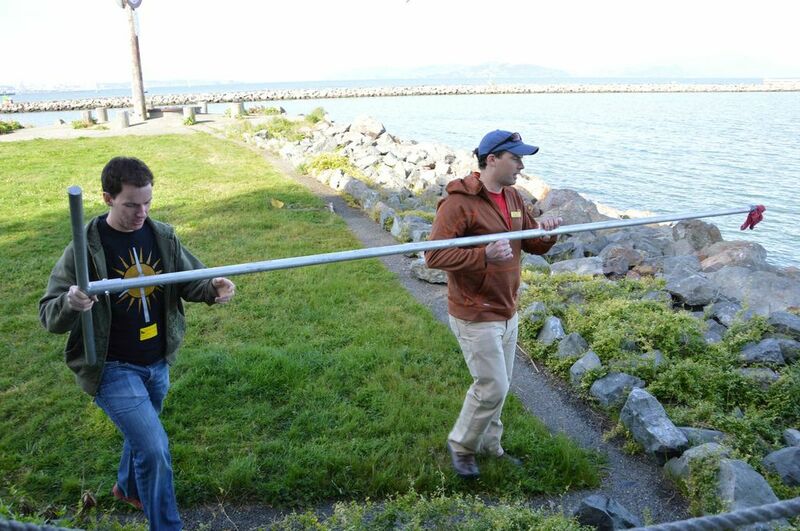 What kinds of engineering challenges are wind engineers currently working to overcome? Aaron provided many insights about the topics discussed with Dr. Mirocha, and shared his experience working with the Stanford Solar and Wind Energy Project (SWEP). Note: During the show, we mentioned that wind energy delivered about 6% of America’s electricity in 2012. After the show aired, we found that as of 2012, wind energy comprised 6% of American electricity generation capacity, but only delivered about 3% of American electricity that year. We apologize for the error! Categories: Podcasts | Tags: efficiency, energy policy, engineering, national laboratory, Renewable Energy, wind energy | Permalink. Wind energy is a relatively mature renewable energy technology that is at the forefront in challenging conventional methods of power generation. The image of a wind turbine is ubiquitous in representing clean tech (see the header of this very website), but have you ever wondered exactly how those great big turbines actually make electricity? Been curious about how efficient they are? Pondered what might happen when a bunch of bugs get stuck to these turbines? We have! And so we sat down with Lawrence Livermore National Lab scientist Jeff Mirocha to ask him some questions about the fundamentals of wind energy production. He graciously explained the basics to us, and we’ll be sharing the interview with you on Thursday from 6-7 PM on 90.1 FM and at kzsu.stanford.edu. Aaron Burdick, a student in the Civil and Environmental Engineering department, will join us for a panel discussion afterwards. Tweet us your questions about Wind Energy Basics @greengridradio or leave them in the comments section on this post and we’ll try to answer them during the show! Image attributed to Energy Quest/California Energy Commission, 2013. The sharing economy is a movement that is gaining more and more momentum both here in the U.S. and around the world. In this episode we dig into what the environmental, social and economic benefits are of sharing compared to the current way of meeting our needs through consumption. Featured voices are Andy Ruben, co-founder of yerdle, Neal Gorenflo, founder of Shareable and Stanford students Katie Brigham (from the Stanford Free Store), Maayan Dembo and Adam Pearson. Hosted by Erik Olesund and Diane Wu. Categories: Podcasts | Tags: collaborative consumption, couch surfing, free store, shareable, shargin economy, sharing, yerdle | Permalink.